Ready to dominate on the slopes? 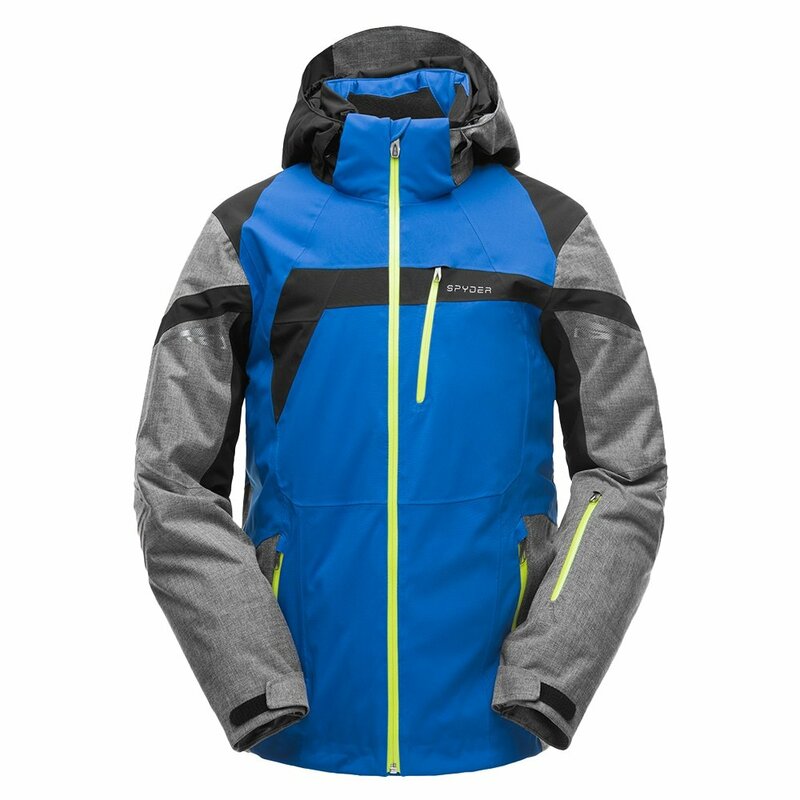 Then you need the Spyder Titan GORE-TEX® Insulated Ski Jacket. This men’s ski jacket has a sporty look and professional-level features, like a two-layer breathable and moisture-wicking GORE-TEX® fabric construction that houses 60g of Thinsulate™ insulation. Since all the seams are fully taped and the front zipper is a watertight AquaGuard® zipper, you’ll definitely stay dry. The Spyder Titan GORE-TEX® Insulated Ski Jacket has everything you need even if you’re a few miles into the backcountry, including a removable powder skirt, mesh shoulder padding, a goggle pocket, and underarm vents. "Hello , can you confirm the breathability and Waterproof rating for this jacket 25k/25k? Thank you"
"Thank you for your inquiry. The Breathability Rating and Waterproof Rating is 25000. We hope this information helps! "